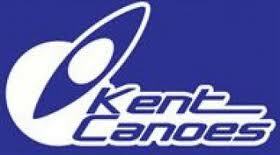 Kent Canoes ( www.kentcanoes.co.uk/ ) suppliers of canoes, kayaks and BCU Courses for over twenty years, are providing Gutless Kayaking with paddles and buoyancy aids for all our guest and celebrity paddlers. This entry was posted on Monday, August 5th, 2013 at 11:46 am	and is filed under Supporters. You can follow any responses to this entry through the RSS 2.0 feed. Both comments and pings are currently closed.